← Can You Use Social Media to Communicate With Your Channel Partners? There is a lot of discussion about how Social Media Marketing might fit into Channel Marketing (and into B-to-B Marketing in general). 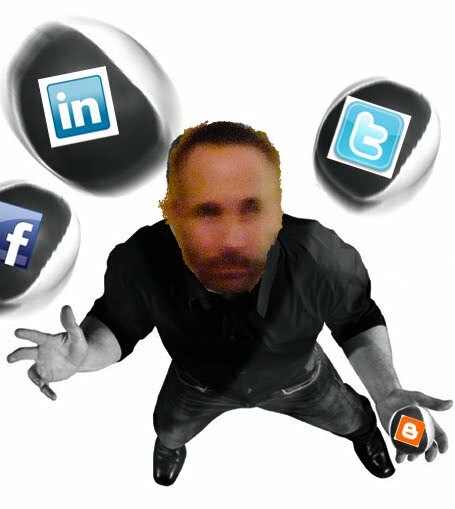 I recently wrote an article about how I thought Social Media had zero significant advantages as a tool for Vendors to communicate with Channel Partners. However, I do not think it is fair to throw out the baby with the bathwater. Here is a run-down of 5 social media tactics that VARs might already be juggling, or might be considering including in their marketing plans. One is a loser, but 4 of them have real potential and can positively impact your marketing activities. What it’s good for: Distracting you from marketing work that will produce real results; giving Social Media a bad name in the B-to-B marketing world; causing your colleagues and managers to doubt the value of marketing. After 3 years of hard work at PTC we secured just over 3000 “fans” of PTC’s Pro/ENGINEER – Did You Know Facebook page [EDITOR’S NOTE: it is now October 2011 and I see this link is now broken; evidently PTC took my advice (below) and abandoned this fan page]. That’s not bad, and I want to acknowledge the terrific work that went into building out the strategy, content and audience. For the first year it was very difficult to get fans to post or comment or upload. But the page manager soldiered on, posting great content. Over the years she has refined her content strategy and writing style (writing for Social Media is a tricky art), and the community matured, and now there is a decent amount of interaction from the fans. But I would estimate that 1/4th to 1/3rd of those 3000 fans are PTC employees or channel partners. Also, consider that in about the same amount of time my local watering hole, Trina’s Starlight Lounge, has secured 2200 fans. PTC is a global brand with millions of users, while Trina’s is a neighborhood bar serving PBR and a daily hotdog special. This illustrates just how difficult it is to build a B-to-B presence on Facebook. And I dare say that Trina’s can probably claim more sales revenue as a result of their Facebook campaign (I have gone in for their “dog of the day” special at least twice after seeing it on Facebook, and that alone is probably enough to tip the scale). Several PTC VARs have created Facebook pages. For example, 3 HTI, a PTC Platinum VAR, posts status updates and content once per week or so. They leverage a lot of PTC content on PTC’s YouTube channel, website, and blogs. But after 2 years they have only 100 fans. Most of them are employees of 3 HTI or PTC, and there is very little interaction with the content 3 HTI is posting on Facebook. People use Facebook for fun. It has been used successfully by some consumer brands. But it is just not gaining widespread traction in the B-to-B world, despite a ton of hard work and a ton of hype. By any conventional standard of measurement (brand impressions, leads, sales, etc. ), marketing on Facebook — for both Vendors and VARs — is a failure. There are easier and cheaper ways to conduct marketing to larger audiences with better results. DO turn your Facebook page over to your HR department. Maybe it has some value as an employee morale building or recruiting tool. But you should detach it from your Marketing work because people love to take pot-shots at Marketing and your Facebook page represents a very public target if they are trying to build a case that you are not pulling your weight. DON’T spend more than 5 minutes per week on it. In a world where the biggest problem for VAR marketing is lack of capacity, Facebook is something you should hack off your marketing to-do list. What it’s good for: Building the vendor brand; building your VAR brand; building your personal brand; identifying industry trends & topics; promoting lead generation offers; identifying sales opportunities. The best Social Media Marketing strategy a vendor can undertake to the benefit of a Channel Program is building a social media customer community. Vendors should create a social media community for customers to network, share successes, solve problems, and learn about relevant product and industry topics. VARs should be a part of this community. They should comment, solve problems, post interesting questions, and show off their customer success stories. All the while, VARs will be building their brand as subject matter experts. It’s essential that VARs keep the selling to a minimum, but sales opportunities will surface as you build your brand and participate as a good community member. You can build a community with LinkedIn groups, discussion boards, or community building platforms like Jive. To date, there has been no programmatic outreach from PTC to get the VARs to join PlanetPTC. PTC wanted to launch the community to customers first to prevent it from being overrun by VARs at the outset. Smart move. You don’t get a second chance to make a first impression and it was important to nurture customer engagement to start with. The time is right now (or perhaps it is past due) for PTC to push the VARs to join and participate in the community. DO rely on the *Vendor* to create this community. Building and maintaining a customer community is a lot of work and it is best left to the Vendor, not the VAR. 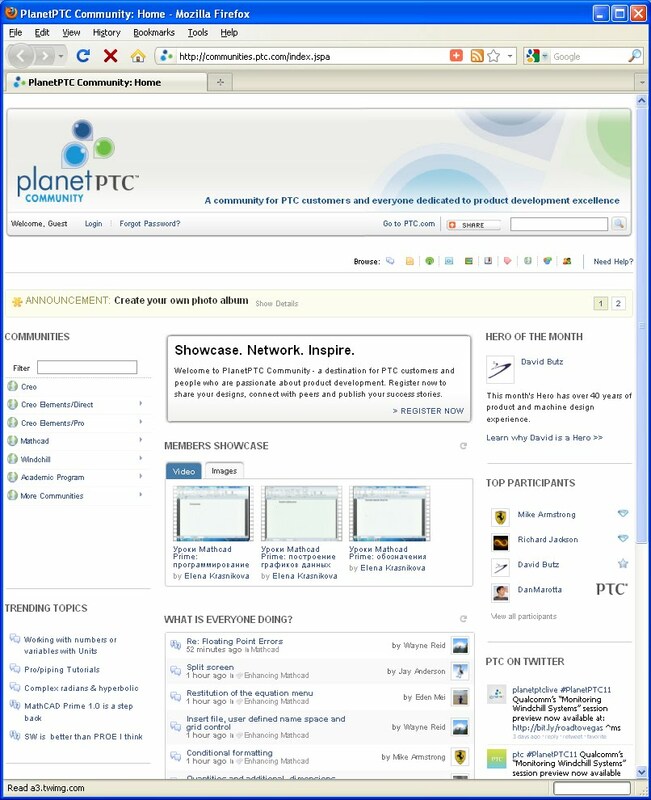 One year before PlanetPTC was launched, one of our biggest VARs attempted to launch their own community website. “TriStar Commons,” launched in 2009, was an ambitious venture that ultimately failed because TriStar could not manage the demands of maintaining an editorial calendar and they could not compel customers to join or participate. The Vendor will have more resources and better ability to execute successfully than the VAR. DON’T be too promotional. Yes, VARs can use the site to promote offers and pursue sales opportunities. But it should be balanced with altruistic participation. Once your reputation as a member in good standing and your subject-matter expertise is established you will see sales opportunities emerge. What it’s good for: Building your VAR brand; building your personal brand; identifying industry trends & topics; promoting lead generation offers; identifying sales opportunities. I mentioned above that you could create a community site using LinkedIn groups. It would be a pretty stripped-down community site, really just a discussion forum, because LinkedIn does not enable users to upload/download items. So you would need to post any rich content (videos, PDFs, etc.) on other platforms like YouTube or your corporate website or Google Docs or Scribd or your blog. PTC did this for the Creo Elements/Pro Users group on LinkedIn. 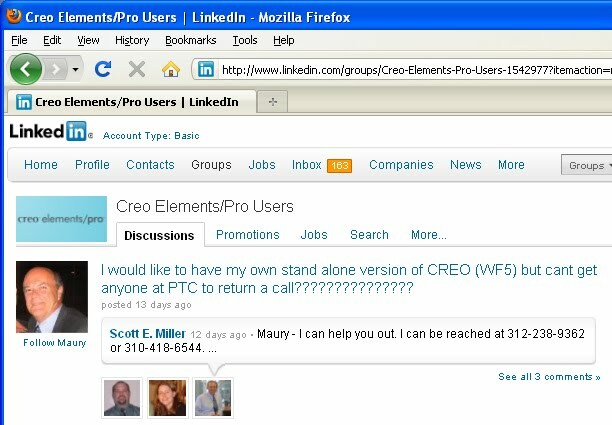 The Creo Elements/Pro Users group is managed by a PTC marketing staffer, it has around 2000 members, rich content is hosted elsewhere as described above, and there are interesting conversations going on about using CAD software. Again, this is a user community effort and it is best for the Vendor to take ownership of establishing the group, not the VAR (though the VARs can and should be active group members). It is really easy to find groups like this using the LinkedIn search engine. The VARs should definitely join the ones hosted by their vendor. But it is equally (or more) valuable to join the ones that are not officially owned by the vendor because that is where you will see users of competitive products voicing their frustrations. DO sign up for weekly digest emails. This is a setting you choose when you sign up for a group. That way you don’t have to hang out in the group all day waiting for something interesting to happen. Also, keep the weekly digest emails in a folder and you will create an archive of group activity so you can use your email’s search functionality to research any group member you are interested in. DO start slow with a “listening” exercise. Do not post any comments for the first week or so until you can get a flavor for the tone of the group. DO participate in conversations that don’t directly involve a sales opportunity. Establish a track record of being a good group member and a general subject matter expert. DON’T be overly promotional. If you go in there like a shark you might be flagged as inappropriate by a member or kicked out by the group owner. Consider carefully the option of “replying privately” (via a one-on-one LinkedIn email with the group member) instead of posting a comment for all to see. DON’T disguise your identity. Don’t pretend you are not a VAR. If you try to hide your identity, sooner or later you will be found out and your credibility will be destroyed. What it’s good for: Building your VAR brand; promoting lead generation offers; improving Search Engine Optimization for your website. Creating a VAR blog is an incredibly powerful marketing activity because it really gives you the ability to showcase the “Value Added” part of being a Reseller. 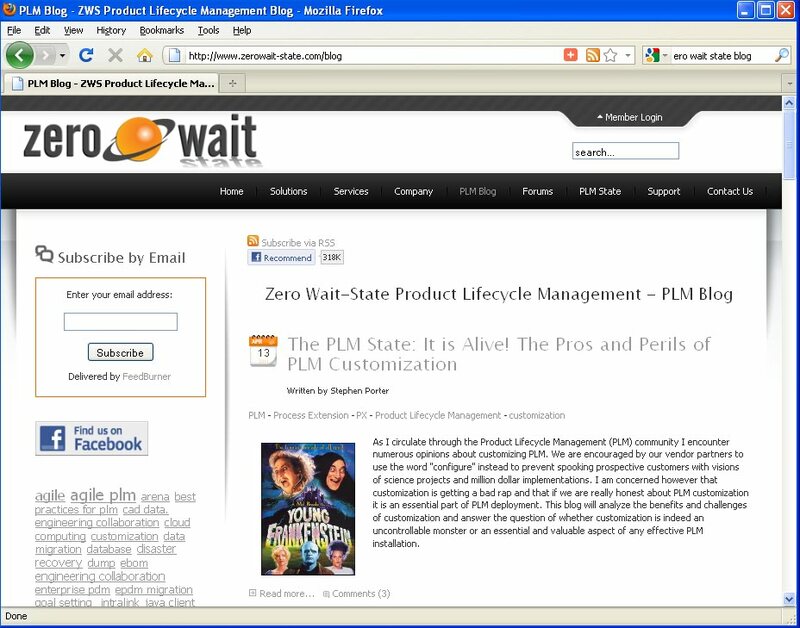 A great example is the PLM blog that Stephen Porter writes for Zero Wait-State (VAR/agent for PTC and Oracle). Stephen is a very clever writer with a great voice for Social Media and a ton of industry experience. DO create an editorial calendar. You need to maintain a steady cadence of posts or your audience will lose interest. At least 1 post every-other week is a good place to start. Create a list of 12 topics on a white board. That’s a 6-month editorial calendar. As you get into the swing of it, ideas will start popping into your head all the time and you can just add them to the list. DO attach your blog to your website. This can be a massive boon to Search Engine Optimization. Hubspot is a great tool to consider if you are going to create a VAR blog, their tool set makes it easy for small businesses to publish blog content that is anchored in your keyword strategy and measurably improves SEO. DO promote traffic to the blog. Make sure your blog is prominently featured in your website navigation. Promote blog posts using e-newsletter, email, Twitter, discussion groups, your company’s email signature, etc. DO reuse content that was created for other purposes. Content creation is a burden. So when you create content for other purposes, blog about it. For example, blog about the case study you just published, about the YouTube video you just posted, about the analyst report your Vendor just commissioned, about the trade show at which you just exhibited, etc. DO respond to any comment quickly. Even if it is just to say “thanks for your comment” or “let me check on that and I will get back to you.” Comments represent audience engagement, and that is very hard to come by, so treat them like they are delicate flowers that need to be nurtured. DON’T get bogged down. Your posts don’t all have to be long. You can post short ones that talk about an interesting point made in a white paper or analyst report or video or news item. Or just ask a provocative question and see if you can get an interesting conversation going with your followers. It is good to have variety. DON’T go it alone. Share the burden of content creation with one or two other people in your organization. Make sure at least one of them is a technical expert and can field any technical questions and comments that are posted. What it’s good for: Establishing relationships with industry influencers; building your VAR brand; building your personal brand; identifying industry trends & topics; promoting lead generation offers. Twitter is one of the hardest to understand forms of Social Media for newbies. But it is also probably the easiest one to get started with if you just stick your nose in there and do it. I suggest that you create a corporate Twitter account, plus a Twitter account for any individual at your company who is also blogging. The great thing about Twitter is it does not require a lot of unique content creation. Look at how EAC Product Development Solutions builds a steady stream of interesting tweets simply by retweeting content from other sources (tweets from their vendor, news and articles from relevant editors, publications, and bloggers). And they also use Twitter as another medium to promote offers such as their webinars, seminars, and meetings of the local User Groups they support. Single-Sourcing Solutions, a VAR who sells PTC’s ArborText product, has a similar Twitter presence. And CEO Liz Fraley has also done a great job of building her own personal brand by blogging and tweeting (as well as tireless offline networking in the XML industry). DO start by following the editors of the magazines and bloggers that cover your industry. These are important inflencers you want to build relationships with. And they are being followed by your target audience. DO start slow with a “listening” exercise. Twitter is difficult to understand at first, so give yourself some time to figure it out before you start tweeting. DO retweet posts from the people you are following. It ingratiates you to them and helps you build relationships. Retweets are the currency of Twitter; if you retweet their stuff then they are more likely to listen to you and perhaps retweet your stuff. DO set goals about your frequency of tweets. Try something like “I want to retweet something interesting 2 times per week, and I want to tweet about something original once per week.” Dial it up or down based on your comfort level and results. DO rebroadcast your Twitter feed. You can register your Twitter handle on your LinkedIn profile so your Twitter posts will be rebroadcast as LinkedIn status updates. You can use plug-ins and apps so your Twitter feed will be shown in a widget on your blog and your website. These steps will give your tweets more exposure even to people who do not use Twitter. DON’T follow too many people all at once. The volume of tweets will be unmanageable. DON’T tweet about personal stuff. Leave that for Facebook, or a separate personal Twitter account. As Heather Margolis says in her excellent Channel Maven blog: “Twitter is not just a place for people to talk about what they had for breakfast or when they are going to the grocery store. If that’s what you tweet about I can assure you, I’m not following you.” If more than 5% of your Tweets are personal then something is wrong. Yes, there is a lot of hype surrounding Social Media Marketing in the B-to-B Channel. But I think these 4 tactics are worth the time of VAR Marketers and can produce real benefits. What do you think? Do you have experience (positive or negative) with any of these tactics? Please tell me about it in the comments section below. This entry was posted in Blog, Community Site, Facebook, LinkedIn, Social Media, Twitter, VAR Marketing Techniques. Bookmark the permalink. Just participating in a good webcast about Monetizing Social Media Marketing (http://bit.ly/smliroi) and it looks like it is really easy to run LinkedIn advertising campaigns. This would be a great technique for a VAR. You can geo-target your ads so they are only displayed for people in your geographic patch, and you can specify a group where your ad will appear. Note it was a Avaya VAR who took the lead and closed the sale! Also, be more fun on Facebook! This is where you post your videos, contests, ask for opinions and just basically show that your a person (not a corporation). Thanks for the shout out! Always enjoy reading your posts. Thanks for the comment, Heather. I agree with your assessment of the various social media. You know how it goes with blogging: sometimes you need to over-state your position in order to make an impact. I don’t really think Facebook is a total loser, but if you need to triage (and Channel Marketers typically do) I think it is the easiest thing to hack off your to-do list. At PTC we pumped a lot of effort into maintaining our Facebook page and we found it incredibly difficult to build a sizable audience, and even harder to get fans to interact with us there (i.e., like, comment, share, upload, etc.). I just don’t think most people want to talk about work stuff on Facebook. People just aren’t willing to post things like “man, Pro/E’s clash detection feature just saved me a ton of money on making a busted physical prototype!” because it will just bore the heck out of their friends who are not engineers. Yes, your audience is probably there on Facebook, but they are probably not willing to engage with you there. A counterpoint to this is a really interesting post I just saw about extending the life of your content from Joe Chernov of Eloqua: http://elq.to/v1aPBn . Joe suggests *Staggering your content*. So you could reward your relatively small audience of Facebook fans by posting your content there first and giving them a preview of it before you post it to your blog the next day, and tweet about it the following day, etc. Pretty smart! 4. Drive engagement because Facebook’s “EdgeRank” algorithm gives priority within the news feed to posts with lots of likes, comments, and shares.